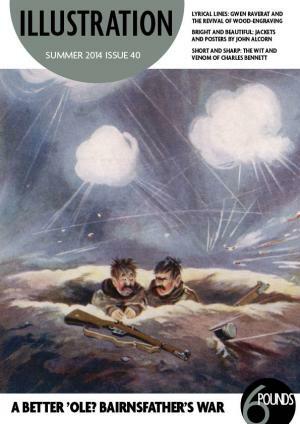 Humour might be one of the more surprising things to emerge from a bloody war, but as we look back on the horrors of the trenches and battles of 1914-18 from the safe distance of 100 years, cartoons offer us a direct link to the black wit of the time and the living nightmares it exposed and offered up to ridicule. Bruce Bairnsfather was the most successful and celebrated of these cartoonists at the time and his work shows us a glimpse of the way people dealt with the reality of life at the front, drawn as they were by an artist who had actually served on the front line. But it doesn’t necessarily take a war to demonstrate that humour can cross the gulf of years and offer modern readers a clear view of the hopes and fears of now distant times. Charles Bennett’s cartoons were as popular as those of his contemporary George Cruikshank in his day and they still shine a spotlight on the conceit, hypocrisy and social transgressions of 19th-century society. His early death is one reason why his work was soon forgotten, but we find out why it still has much relevance today. Gwen Raverat emerged from the traumatic period of the first world war with a very different agenda. Influenced by the work of Thomas Bewick, her lyrical illustrations evoke rural idylls and the enduring appeal of traditional tales and helped to revive the popularity of wood-engraving as a medium of self-expression. And it was another war – Vietnam – that prompted John Alcorn to move to Italy. His work blossomed as he drew on Italian masterpieces to inspire work that typified the psychedelic styles of the 1960s and 1970s. A century after the first world war the world is still riven with conflicts and it remains to be seen how today’s illustrators respond to the challenge of reflecting and processing the horrors these bring. In the meantime, the work of their predecessors helps to ensure that we never forget those who fought and suffered in the past.